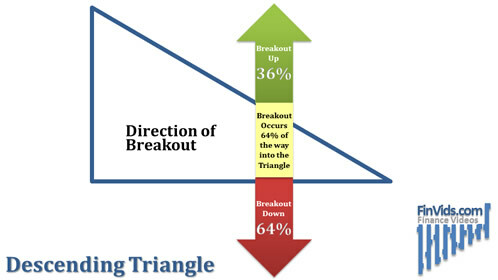 The idea that a descending triangle is a bearish sign has been invalidated here. Been researching both flag and pennant trading patterns but am yet to find a flag with a descending triangle pattern. Is this a thing? 64% - 36% dont know if these stats are accurate but i will take a 2/1 chance over 1/1 anyday.